When the seasons change, our needs for temperature control change. When it’s hot and muggy outside, it’s important to have top notch cooling indoors. Your comfort level is very important to accomplishing the tasks your day requires. That’s why it’s necessary to have a cooling system that fits your needs. 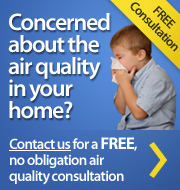 A Darien air conditioning contractor can help you decide what type of air conditioning is best for your family. There are options when it comes to cooling your home. Would you prefer central air conditioning, or a less involved system such as window cooling? There are even new options today that can give you the efficiency of one system with the low cost and power of another. Contact a Darien air conditioning contractor today to find out what will work best for you. When your Darien home isn’t the right temperature, you can be completely miserable. That’s why keeping your cooling system repaired and maintained is important. An HVAC specialist is needed for air conditioning repair. It is also a good idea to have an air conditioning contractor look at your system from time to time to make sure it is still functioning at its top capacity. If you're looking for a Darien HVAC contractor, then give us a call today at 914.777.5030 or complete our online request form.